This week's teaser is from Isla and the Happily Ever After by Stephanie Perkins. This teaser is from the sampler that was available on Netgalley. I am so excited for this book though that I just had to share it. Especially because I fell in love with Isla on the spot the moment I read this line. “It's midnight, it's sweltering, and I might be high on Vicodin, but that guy–that guy right over there–that's him. 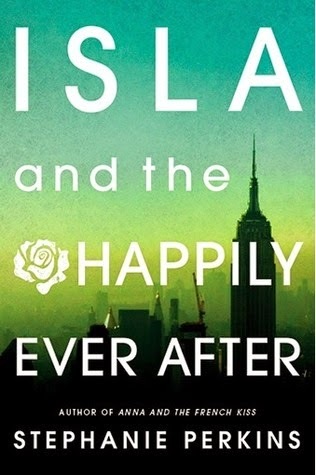 For more about Isla and the Happily Ever After check out these sites! It's so funny that you posted a teaser from Stephanie Perkins book because I was debating last night to finally read Anna and the French Kiss. So many people love these books. I probably should read it soon. Gotta say I love that teaser! Oh you've got to read Anna! I'm pretty sure Anna was my first attempt at reading contemporary romance and it totally won me over. OOOoooohhhhh, I LOVE Stephanie Perkins books and cannot wait to read this one. Great teaser, who is HIM? Thanks for sharing. I love how she's so vague about the HIM she's referring to. It's like he's just so special to her that he's HIM, not just some boy.